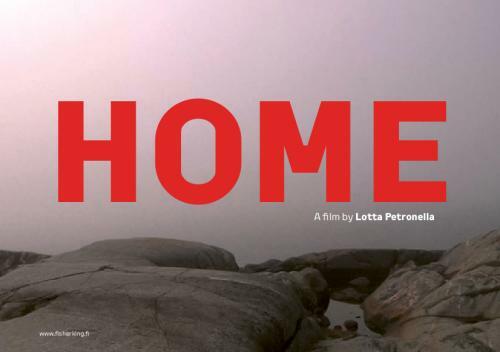 Lau Nau has composed the original music score for Lotta Petronella’s film “Home. Somewhere” (Hem. Någonstans”). The score is composed, produced, edited and mixed by Laura Naukkarinen and played, arranged & recorded by Laura Naukkarinen and Pekko Käppi. The music soundtrack will be released as an album in spring 2015. “Formally precise, emotionally profound, Home. Somewhere. gives a poetic voice to people who have never traditionally had one, men who maintain a combative relationship with both God and the Earth – and, somehow predictably, live and work at the edge of the sea. They have a tenuous grasp on the meaning of life, but only because they’ve had the time and inclination to regard it, from a vantage point at the end of the world. Men are living their lives and doing their things in places where land meets the boundless sea, and where life, and the whole human body, are connected with the surrounding nature. The ever-changing sky, the infinite sea and the windy land are nature’s basic elements. Amid them the men contemplate the basic questions of life and their own relationship with their surroundings. “If the sea and the fish would disappear, a part of me would disappear as well”, one of them says. The documentarist follows men to the misty sea, on flimsy ice and summery cliffs, and to the seaside grove. The sea is heard on the soundtrack as a humming roar, seagus’s screams and the whistling of heaving slush of ice. In scenery like this, thoughts have room to wander. “Who am I” and “What makes a home” are questions that arise on the shore of the infinite. The sea affects people. It makes us wonder about things and their proportions. Sometimes it causes longing, feelings of being lost, and melancholy. But at the same time, it is difficult to come up with anything more beautiful. As one of the men says: “This landscape is love of certain kind”.